We’ve had a great time working with young people in Wythenshawe over the past 8 weeks. The group have taken part in drama activities, devising and performing their own scenes, and each completed their Bronze Arts Awards. 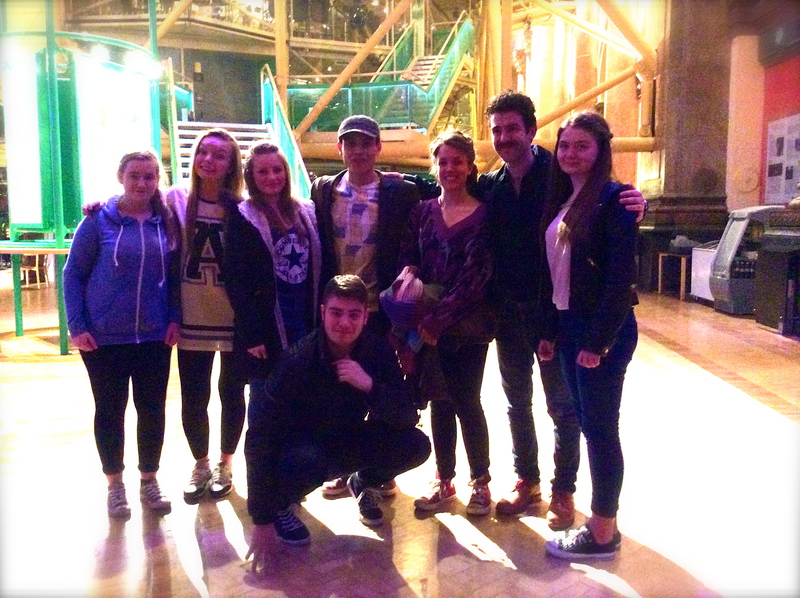 As part of the project, we went to see Much Ado About Nothing at the Royal Exchange in Manchester and afterwards the group were able to meet and interview one of the actors, David Judge. 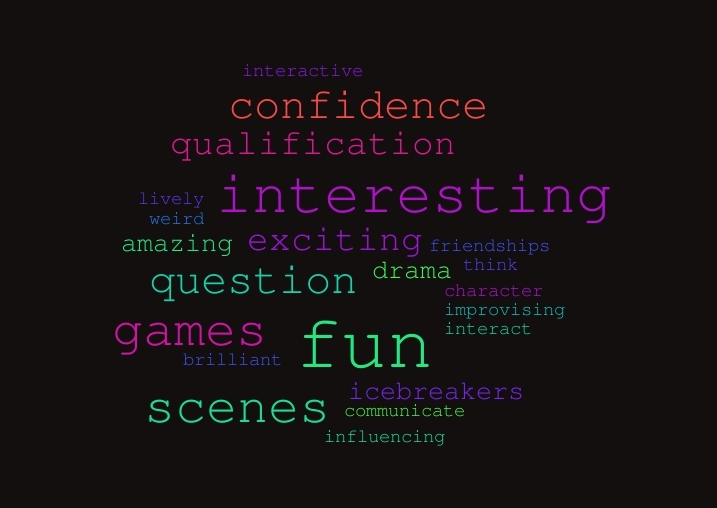 The wordcloud below shows some of the young people’s feedback from the project – it’s always nice to see when fun is the word that comes up the most! This project has been delivered with the support of Wythenshawe Community Housing Trust and funded by the Arts Award Access Fund. A big well done to all the young people involved and we look forward to working with them again soon! This entry was posted in News and tagged applied theatre, Arts Award, community, creative arts project, david judge, drama, education, enJOY arts, north west, performance, royal exchange, wythenshawe, wythenshawe community housing trust, young people, youth by enjoyarts. Bookmark the permalink.